I’ve attended weddings on beaches, fields, stately homes, the local pub – hell, my own was in a Welsh castle! – and everyone’s idea of the perfect ‘I do’ is very personal. 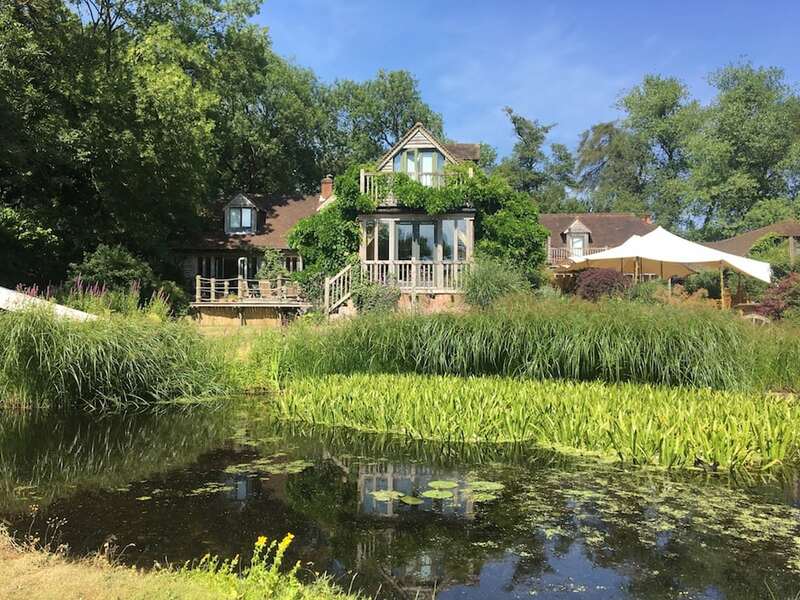 But if you’re looking for an intimate, homely, gorgeously luxe place in which to attach your ball and chain, The Copse wedding venue just outside Henley should be right up there. 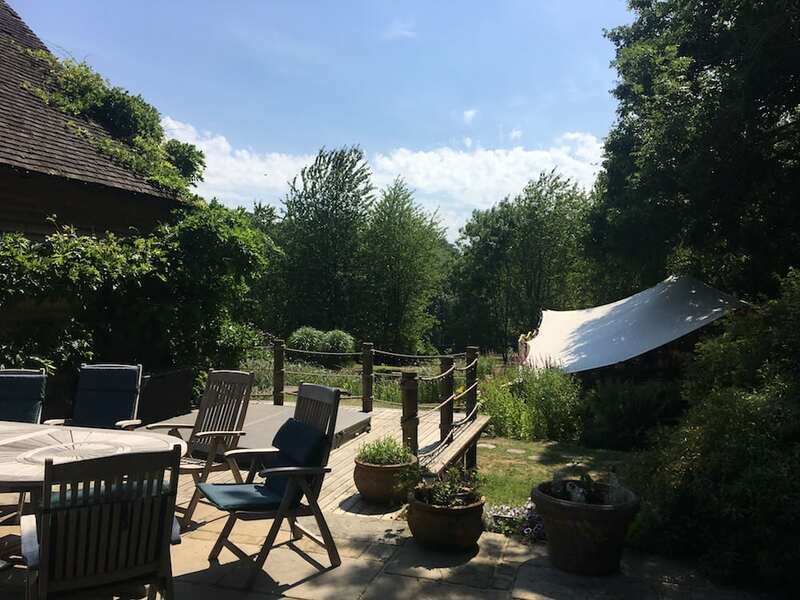 The Copse is idyllically situated down a long, narrow, country road, close to Reading and Henley (ideal for those who like to talk about the convenience of the M4 and A33 – it really is!). 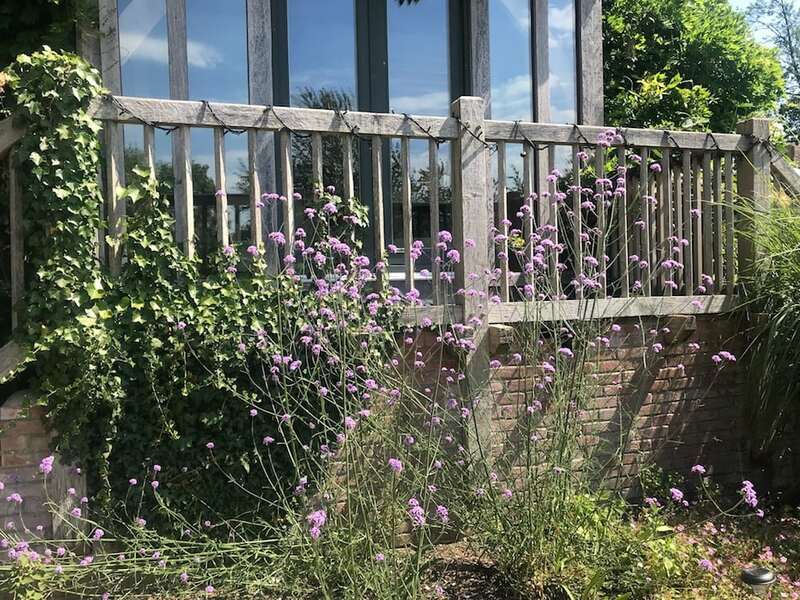 It’s been a family home to Penny and Tim Holley for over 20 years – but having held both her children’s weddings here, it became clear that The Copse was a stonking venue and potential business in its own right, as it can cater up for up to 120 guests and can marry couples on site. 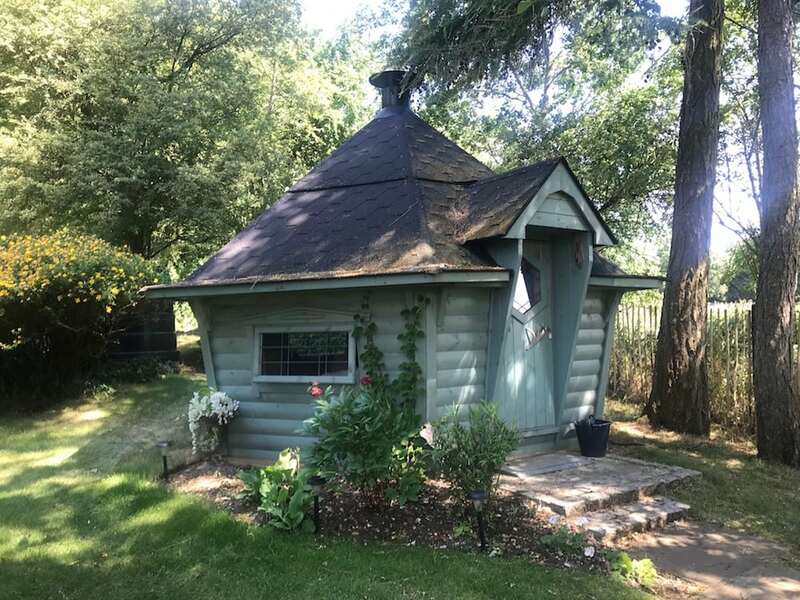 With the children gone, Penny and Tim moved to a smaller house on the grounds and now rent out The Copse full time – families can rent it out from Thursday through til Sunday (basically from wedding set up to hangover) or even for the week. 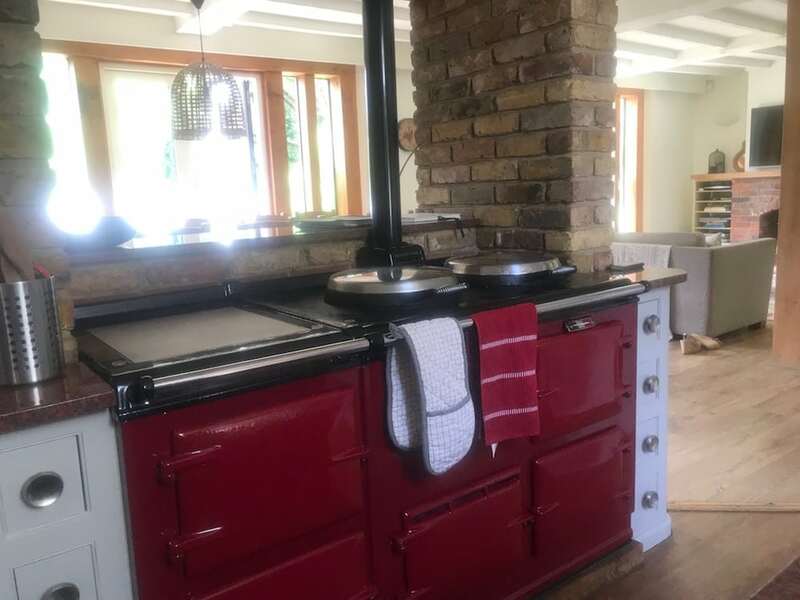 The house, as you can see, is luxurious, but also homely and inviting with Aga, slouchy sofas, and lots of separate areas so that you don’t tumble over each other. 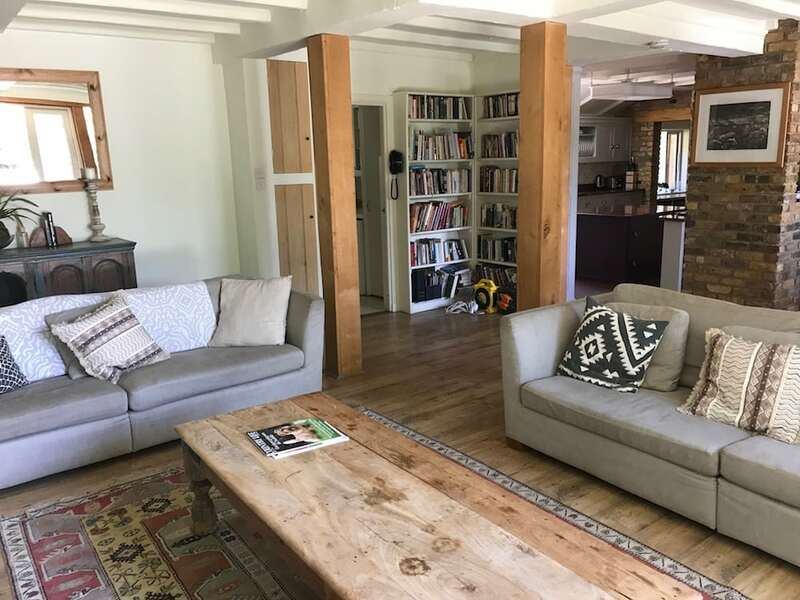 There are 9 double bedrooms (be aware: the 2 bedroom above the barn will be for the party animals in the group! 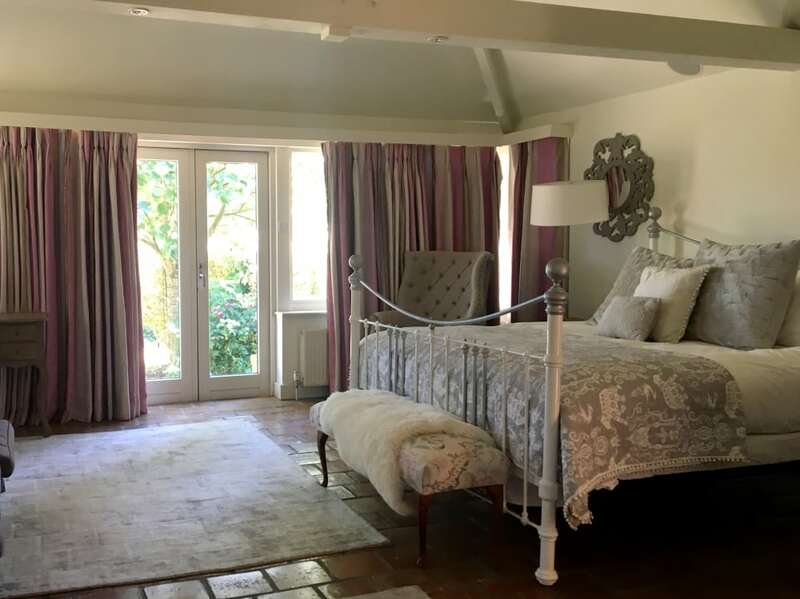 ), including a lovely bridal suite with large bridal ‘get ready’ space, so it’s the kind of place that is absolutely perfect for weddings that involve guests coming from afar who want to stay for the weekend. 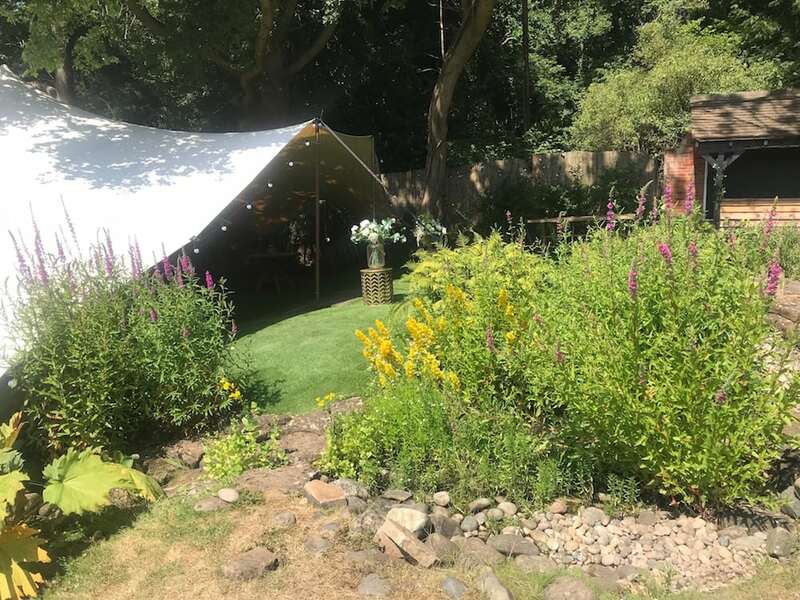 … and a lower level under awning for the wedding breakfast (we had our editor’s meeting under here and it was lovely to look out over the garden). and for the party itself there’s a newly converted dedicated barn with bar AND NO CORKAGE PEOPLE! 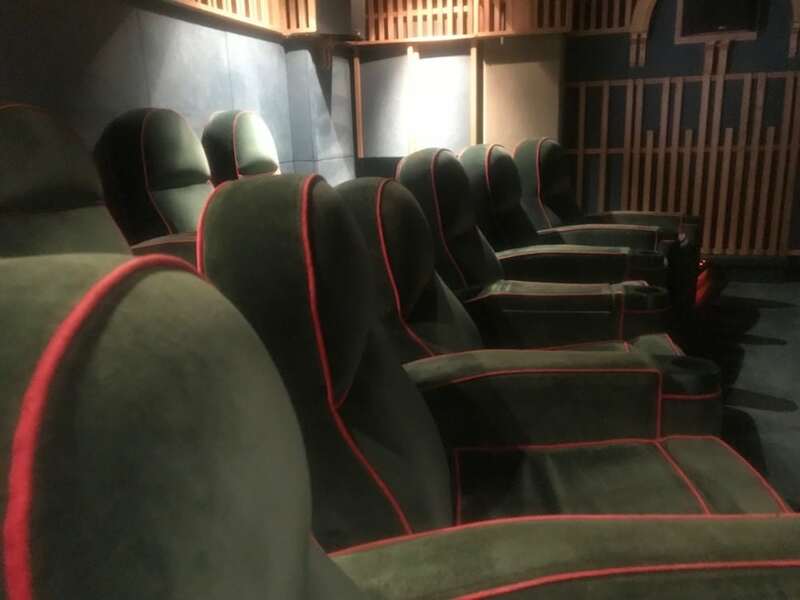 Well, the 14-seater velvet seated cinema isn’t too shabby! You can stream the TV through it too. And I would have loved to try out the terrace jacussi, only it was one of the many searingly hot days in summer and I couldn’t bear to get even hotter. 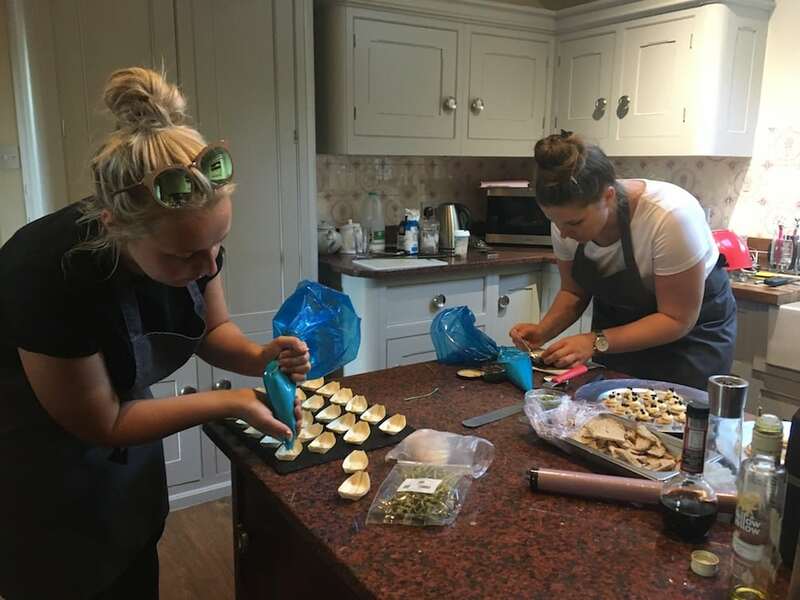 The food was also exceptional – we had canapés and dinner catered for by Oxfordshire-based private chef Rebecca Barrett and I’d recommend her in a flash, she’s a real talent whether you’re thinking weddings, dinner parties or nibbles on the lawn. Dinner itself was served inside – I think this shot was taken in the early evening while we were still relatively sensible and well behaved (it didn’t last long). 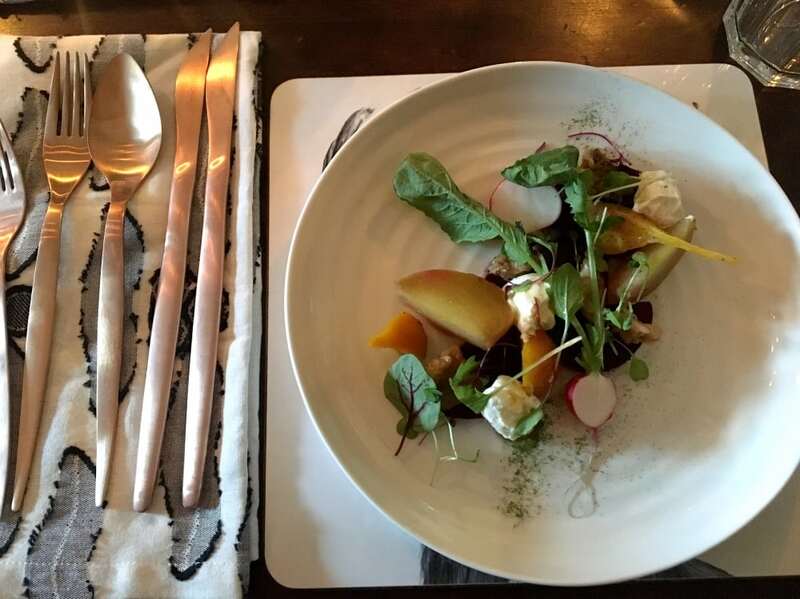 We started with a Trio of Beetroot Salad – Golden, Candied and Roasted Purple Beetroot with Radish Tops, Homemade Yoghurt Curd Cream, Candied Walnuts, Honey Dressing and Dill Powder, beautifully presented. 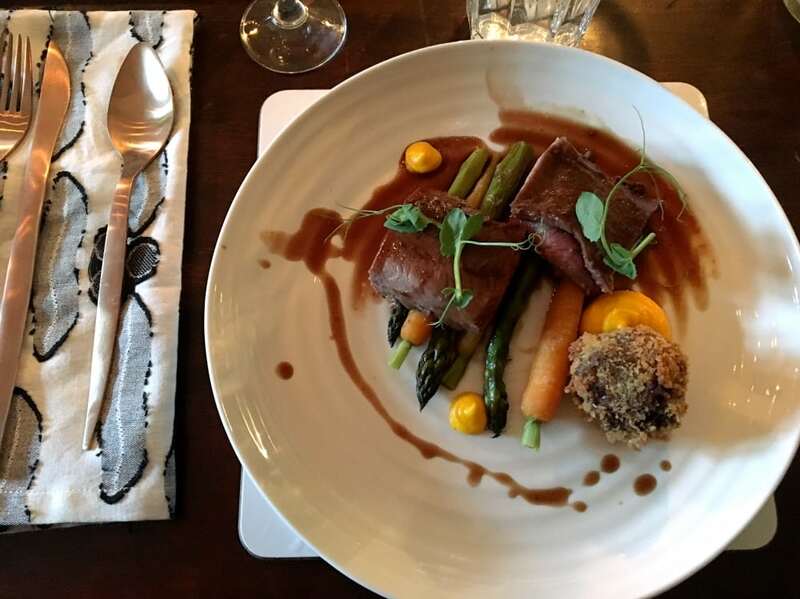 Mains notched it up even higher, a Sous Vide Cannon of Lamb with a Lamb Neck Bonbon, Carrot Puree, Roasted Asparagus, Steamed Baby Carrots, Buttered Jersey Royals and a Roasted Red Wine and Lamb Jus. 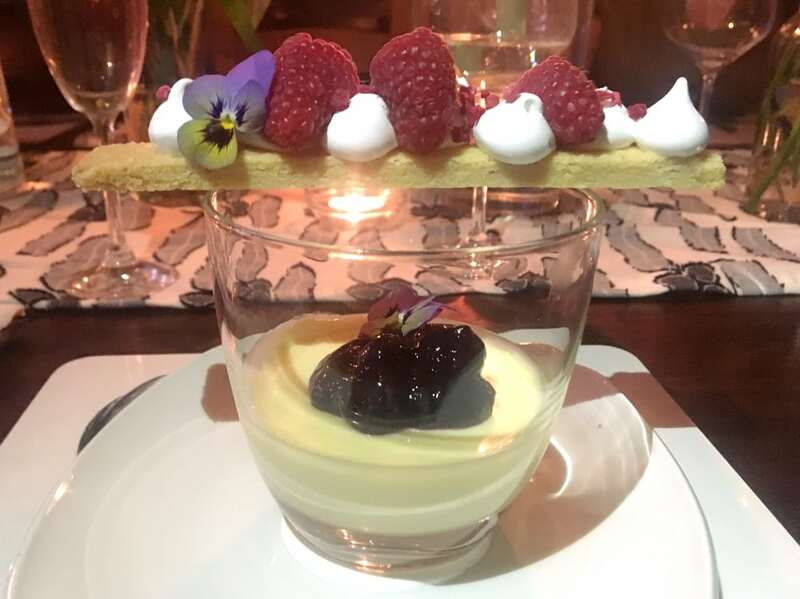 And dessert knocked it out of the ballpark with a Lemon and Blueberry Meringue Pie- Set Lemon Posset, with a Blueberry Compote, Vanilla Shortbread topped with Swiss Meringue, Raspberries, Blueberries and Freeze Dried Raspberries. 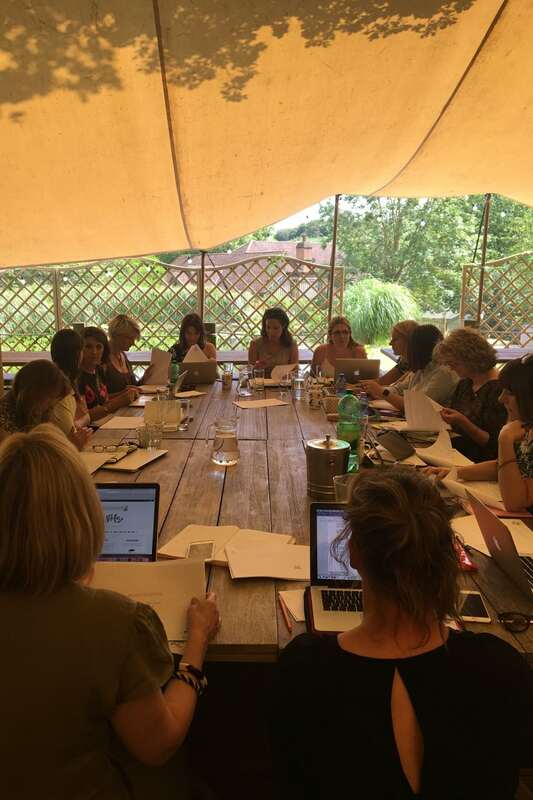 What makes The Copse different to other rural wedding venues? Well, you have the run of the place – all 20 acres of it. 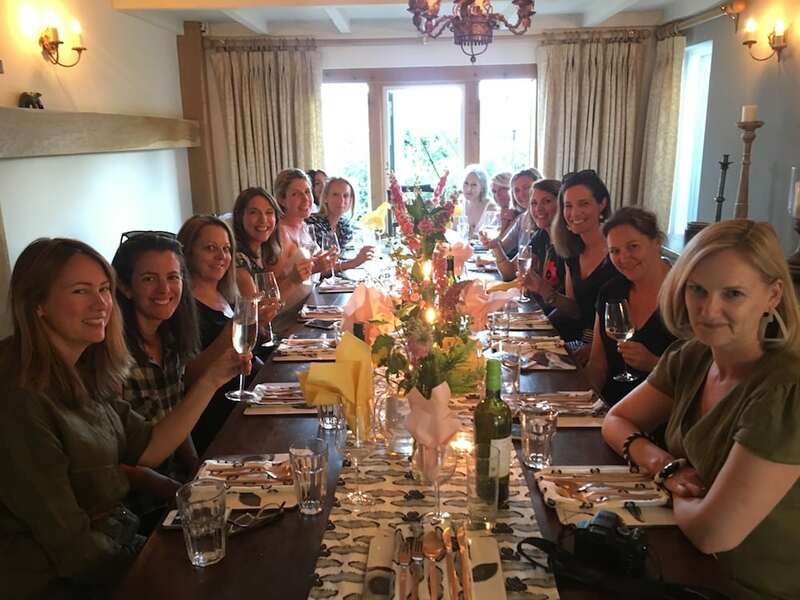 Plus – a massive advantage in my opinion – you get the freedom to use your own caterers, bring your own booze and decorate the house as you would like (there’s a treasure trove stable of gorgeous stuff that you can borrow for free if you want to utilise candles, table settings, flower trugs etc). Also, it’s fun that you can easily walk en masse across the Mapledurham Estate to the well-regarded local pub The Packhorse in 10 minutes, or you’re a stretch-of-the-legs 3 miles away from the brilliant The Crooked Billet in Stoke Row or a 10 minute drive from Henley if you want to show off one of the prettiest towns in England. £3,000 for a weekend stay (between 18 of you that’s a steal), and £18,000 for top end wedding weekends. The website is showing no availability until 2020 BUT couples/families can reserve dates for 4 weeks (for free!) while they’re deciding if they want to go ahead with a booking, so it’s very possible that dates showing as booked will become available. 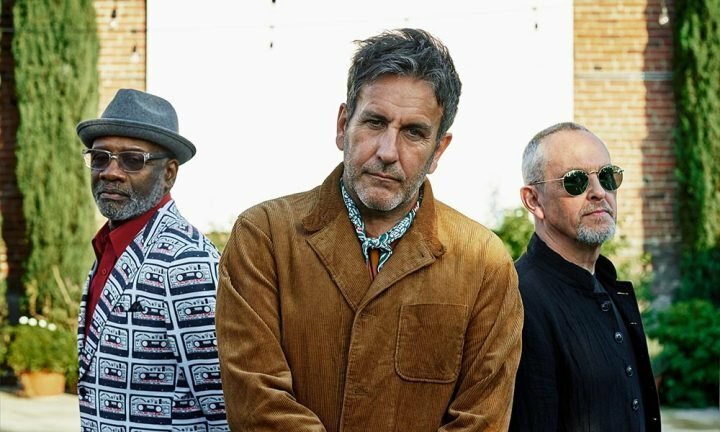 There are, for example, some free dates currently remaining in 2019, so the best thing is to get in touch about availability. GOOD FOR: ‘Good’ doesn’t quite cover this one. 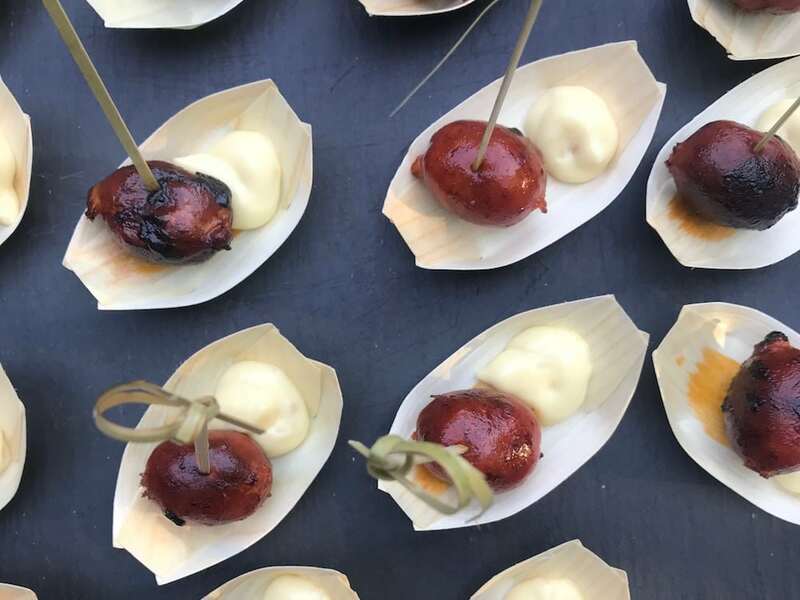 How about, ‘Awesome for’… Relaxed groups who want to socialise for a weekend rather than a rushed night. Anyone wanting to mix home comforts and luxury. Being able to stay for the 3 nights and 4 days with 18 all together (from Thursday or Friday so you can set up the venue as you want) is a lovely idea. Also a more relaxing way for kids to join in. Well-behaved dogs are also welcome. NOT FOR: A bride and groom looking for decadent, rampant ‘privacy’ might not have as much of it as they’d like with so many others around! All music and dancing is confined to the barn which might not suit wilder partiers. 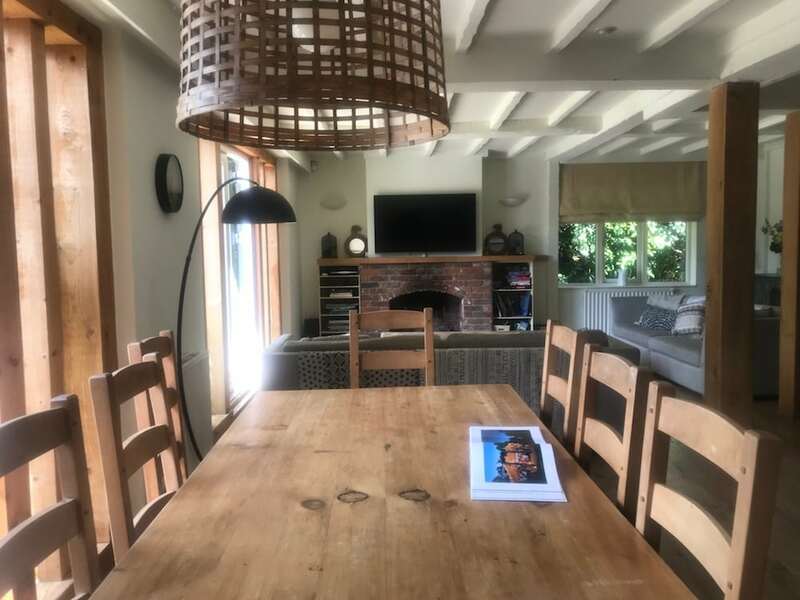 The Copse, Mill Lane, Kidmore End, Oxon, RG4 9HA. Tel: 01189 722772. I was lucky enough to get married at The Copse and it was a dream come true! Plenty of space for family and friends to catch up, an unforgettably beautiful setting and it was perfect to be able to spend an entire weekend together – we want to come back for our anniversary! A beautiful home from home filled with everything you could require for a relaxing and luxurious stay. Every detail is taken care of with stunning views and fun to be had for all ages. We truly love this place! 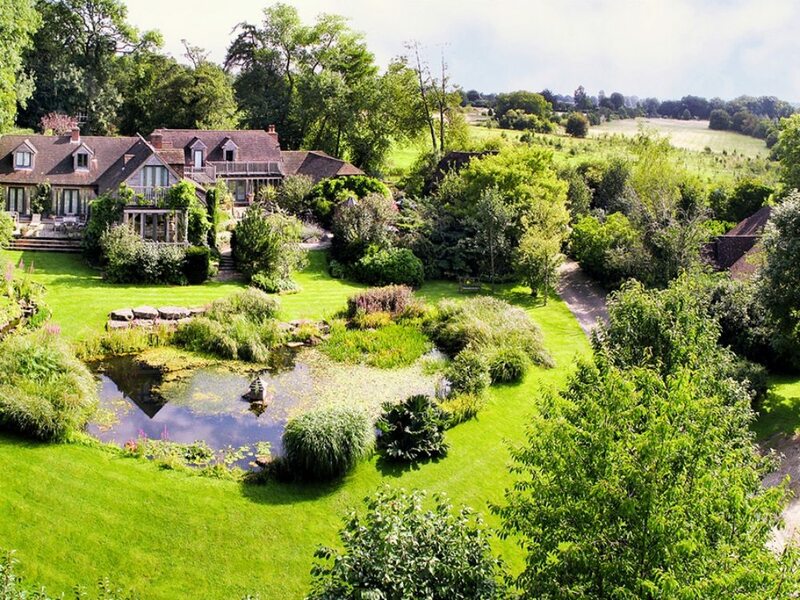 The wedding venue that doesn’t feel like a wedding venue – More your own home. Great amenities, atmosphere & grounds. We’ve now been to 2 weddings at The Copse. This place is so wonderful I want to get married again just to have the wedding there! 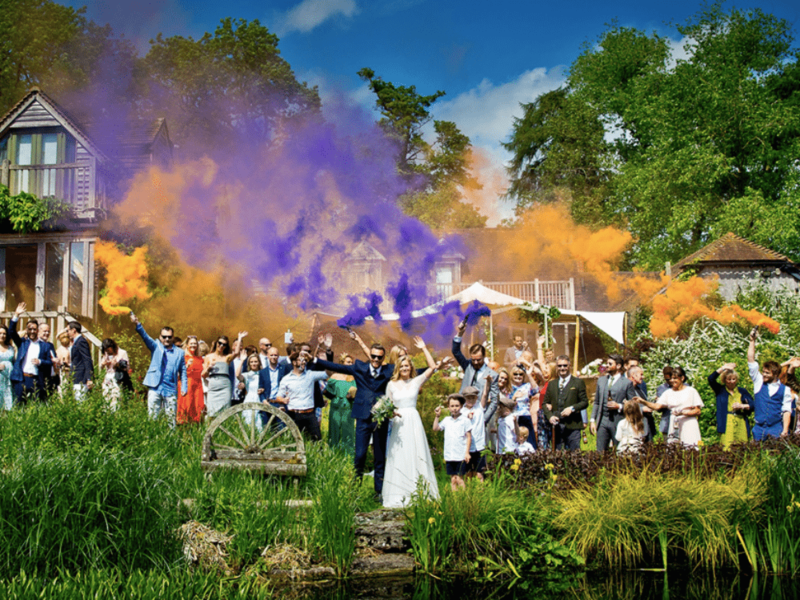 It’s in the most magical setting, has the best house in the world and the fact that we could spend the whole weekend with a large wedding party all staying in the same place would make it absolutely brilliant fun. Comparing this to the cost of hotel accommodation for the same number of people, same amount of time, it’s not only outstanding, it’s a bargain! The perfect place for a family get together in a beautiful ‘home from home’ in the most superb surroundings. A blissful experience and one which we all treasured. Thank you Team at The Copse! I was lucky enough to be a guest at a wedding held at this venue and it was absolutely gorgeous. Beautiful location with so many different and equally lovely areas to enjoy throughout a long weekend. The house and gardens are both spectacular! Superb venue i have been to two weddings here.No not both mine but hope to go again so well organised and picture perfect venue. We had a very special 30th Birthday celebration here for my daughter last year . 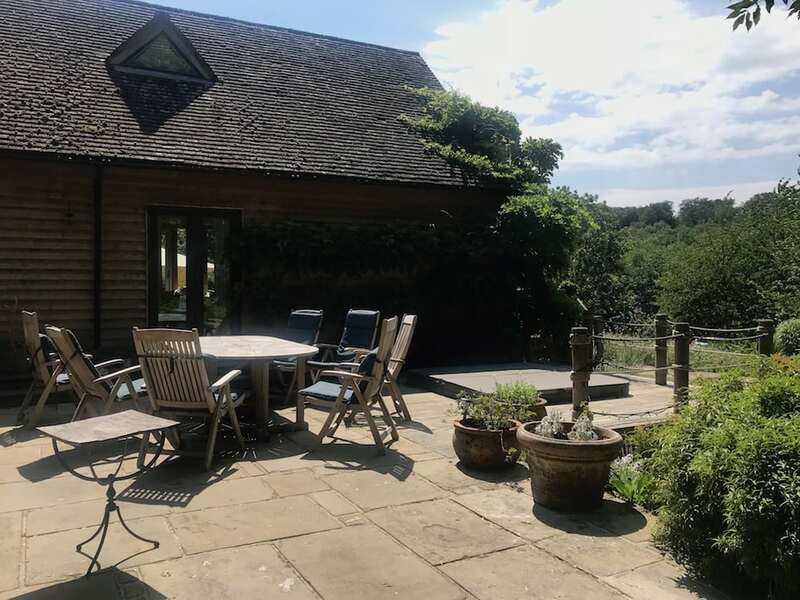 So perfect to have friends to stay over for the weekend & enjoy this fabulous house and garden with all it has to offer . 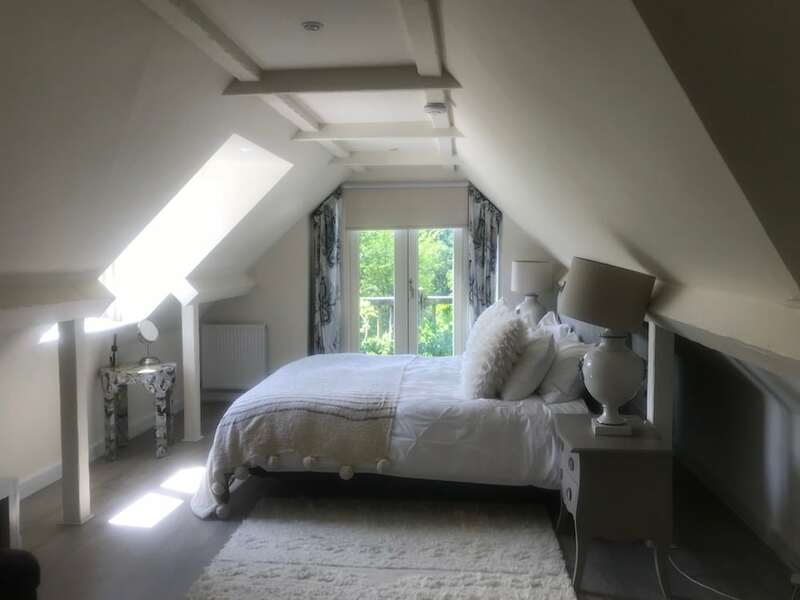 Wonderful bedrooms tastefully styled , cosy rooms to relax in ,well equipped kitchen etc . music & dancing & hot tub & arctic cabin for chilling .